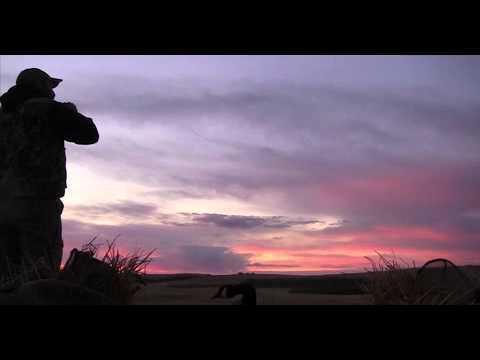 Enjoy some of the finest Goose and Duck Hunting in Colorado! With dozens of premium hunting properties scattered throughout the Colorado Front Range and Eastern Plains we can take you on a hunt you’re sure to remember. With over 30 years of combined experience we have what it takes to put you on the birds. We spend most of our time scouting to make sure your group has the highest chance for success. We also limit our hunts and manage our properties so hunting success is consistent for all of our clients. Call Us Now to Book Your 2018 – 2019 Hunt! Also, take a look at our picture and video galleries to see how well our past clients have done. Luke and JD with Last Pass Outfitters know what they are doing and you can bet your gonna get on the birds and have a good time. These guys do what it takes to make sure your hunt is successful. From scouting to calling and decoy placement these guys are pros and are just all around good guys. When it’s time to hunt ducks and geese these are the guys you wanna do it with. As a member of the Zink Calls prostaff, I have had the privilege of hunting with some fantastic waterfowlers and Luke and JD with Last Pass Outfitters are the best of the best. I have hunted ducks, geese and snow geese with them numerous times and every hunt is a great experience. These guys hold nothing back when it comes to giving you a quality hunt. You will be hunting the best locations, using the best gear and hunting with Colorado’s best guides. If you are looking to hunt with a great group of guys who will put the birds in your face, look no further than Last Pass Outfitters! I was fortunate enough to get out on a goose hunt with these guys last year with my two sons and they are begging to get out again. We look forward to hunting with Last Pass Outfitters every year. Thanks a lot JD and Luke! We have been hunting with Luke at Last Pass for years now. Everyone is friendly and well prepared for a great hunt every time. We have always had a wonderful experience and have made it a tradition to hunt with Last Pass Outfitters. I have hunted with LPO for the past two years now and will continue to do so as long as they’re around. With JD and Luke’s top notch calling and huge goose spreads I guarantee they will have geese right in your face. So if you’re thinking of booking a hunt do yourself a favor and save some time and “Just Do It”. What a great time we had on our recent goose hunt. The whole Last Pass Outfitters experience was a wonderful vehicle for camaraderie, fun and great hunting. While I particularly enjoyed the professional dog work and goose calling, the lessons learned that day in a couple of short hours were priceless. Your attention to service, respect for the hunt and quality of your information on waterfowl made it a remarkable experience and a lasting memory for me, Thanks guys! If you’re looking for Colorado Front Range waterfowl hunting at its finest, don’t look any further than Last Pass Outfitters! Luke and JD have all the corners covered and will bust some you know what to make the hunt unforgettable. The Front Range in CO has always been one of my favorite places to hunt and the crew at Last Pass just brings it all together. Thanks Again! Great Experience! JD and Luke really know their craft and are serious about making sure your hunt is something you won’t forget. We will be in a pit with these guys again! I can’t say enough about Last Pass Outfitters. Been hunting with the crew for years and it’s always a true first class hunt. They will get you on the birds! I have hunted with LPO for 5 years, both fall and spring snow goose. I have hunted with guides in most of the states and Canada. I’ve been a fish guide in Alaska for 35 years. I know the way it’s supposed to go. Luke and JD have got it going on. Top of the line decoys, great fields, great calling and great personalities. I will hunt with them again this year and years to come. Thanks Guys! Please feel free to send us your testimonial here.